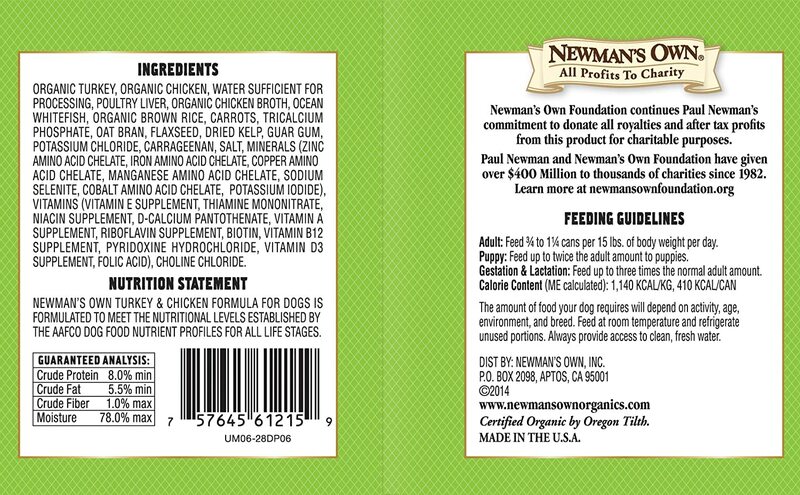 For the past 20 years, Newman's Own Organics has been offering Great Tasting Products That Happen to Be Organic. You can feel good about feeding our premium food to your beloved dog as it is made without artificial flavors, colors or preservatives. In fact, our Canned Turkey & Chicken Formula for Dogs utilizes Organic Turkey as the first ingredient. Our formulas are 70% organic and do not contain wheat or corn.